Beautiful marcasite-like with exqusite detailing, this stretchable scripture is twice the width of our standard bracelet. 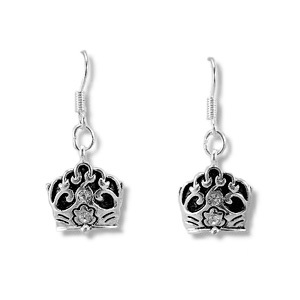 Also, features a special crown charm and a magnetic clasp for easy on and off. 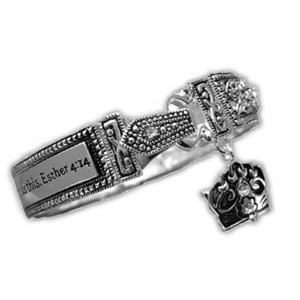 The “Esther 4:14 Scripture Bracelet” complements our “Queen Esther Earrings”. 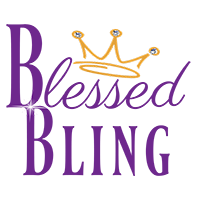 Purchase both the earrings and the bracelet and receive a $6.00 savings on the earrings, plus your shipping on the earrings is free.